Murchison House Station is one of the oldest pastoral stations in Western Australia. We welcome visitors from April to October each year. Murchison House Station is located just 12 kilometres east of Kalbarri Western Australia. Come and visit a working station with over 150 years history. Stay a while or join a tour on this family run outback property. 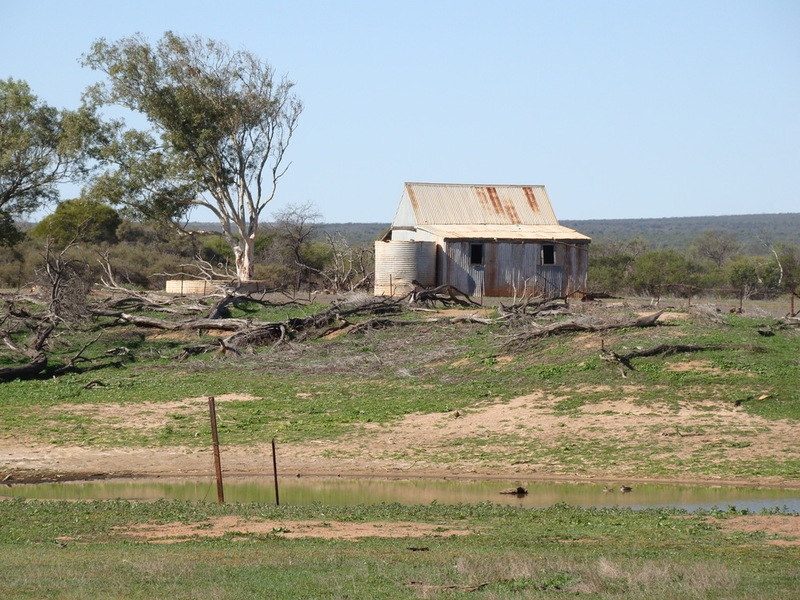 Once a sheep station, Murchison House Station is now a cattle station. A number of windmills provide sources of water for cattle and other animals at Murchison House Station. The Murchison River forms one of the boundaries of Murchison House Station Western Australia. The West Australian coast forms one of the boundaries of Murchison House Station Western Australia. Murchison House Station grows hay to feed animals during the summer months. Closed to the public for many years, visitors can now enjoy unique local history, wildlife and wildflowers (in season) on this 150 year old working station. We welcome visitors between the months of April to October. Four kilometres of well maintained gravel road provides access to the historic homestead which is situated on the southern banks on the Murchison River and set amongst hundreds of large shady gum trees. Camping is available here on the rivers edge or you can follow a self guided walk around the historic buildings followed by morning tea. The station has over 60 km of rugged Indian Ocean shoreline and over 30 km of Murchison river flood plains. Because of the plentiful supply of water, with many permanent soaks and springs, the wild life and bird life is abundant. The terrain is rugged, spectacular and varied, ranging from coastal sand plains and dunes to river gorge country featuring the stunning red tumblagooda sandstone that is known to the area. Murchison House Station is where the outback meets the ocean, which makes exploring in your 4WD an interesting and challenging prospect. The pristine wilderness of the Station, and the Murchison River is there to be appreciated, and is less than one day's drive from Perth. As we mention here, Murchison House Station is a working station that closes to visitors during the summer months so that we can muster Rangeland Goats that grow on our property. Well, this season has been and still is full on. Please click on the slide above, and this will take you to a you-tube video which will give you some insight into what is involved, and the challenging country the goats survive on. Hot and tough summer days for us humans, please turn the music up and come on this journey with us. Originally settled in 1858, the rich history of Murchison House has been shaped by the hands of pioneering battlers, wealthy wool merchants and even an Indian Prince! It is one of the oldest pastoral leases in Western Australia. Today, it is a family owned and operated venture endeavouring to continue the pastoral traditions and offer visitors an insight into outback life. The homestead complex has many historic buildings and self-guided tours (morning tea included) are available Monday to Friday during our open Season. Why not visit and learn about life long gone? Murchison House Station is located on the Murchison River with the Homestead situated on the south side, and the pastoral lease across the river on the north side. Murchison House is still a working station. Historically a sheep and wheat property, the station now focuses on the production of beef cattle and rangeland goats. The station concentrates on goat mustering and trapping over the summer months when the movement of stock can be controlled by water supply and grazing access. Murchison House Station offers you the opportunity to find your own little bit of paradise in the bush. Our pristine wilderness is bounded by the Indian ocean to the west and Kalbarri National park to the north and Murchison river to the east , will give you plenty of beautiful spots to choose from. You might even want to explore and set up camp in a different place each day. People who enjoy true bush camping will know that there are not many places relatively close to Perth where you can go and feel like you are really away from it all.